Most people will judge you within the first few seconds of meeting you and their view will most likely never change. Making a good first impression is utmost important, because you only get one chance at it. It takes just a quick glance, maybe three seconds, for someone to evaluate you when you meet for the first time. In this short time, the other person forms an opinion about you based on your appearance, your body language, your attitute, your mannerisms, and how you are dressed. So, whether they are in your career or social life, it’s important to know how to create a good first impression. 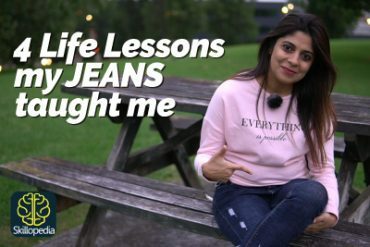 This lesson by Niharika provides some useful tips to help you do this. The most important thing to do for giving a good impression is to set your intention. This is especially important before any kind of big event where you would be meeting a lot of people — i.e. conferences, networking events or friend’s parties. As you get ready or when you are driving over think about what kind of people you want to meet and what kind of interactions you want to have. This can be an incredibly grounding experience and works very well to focus on what kind of energy you want to have for your event. But it certainly does not mean you need to look like a model to create a strong and positive first impression. One modern manner worth mentioning is “turn off your mobile phone”. What first impression will you create if you are already speaking to someone other than the person you are meeting for the first time? Your new acquaintance deserves 100% of your attention. Anything less and you’ll create a less than good first impression. 5. Close on a good note. Keep them wanting more. Show that you had a really good time and would like to see them again. Maybe even text them saying so when you get home. People on a first date not only want to have a good time, but they want to know that you did as well. They want that reassurance. Don’t be over clingy though! Next Next post: Grooming tips for a Job Interview. 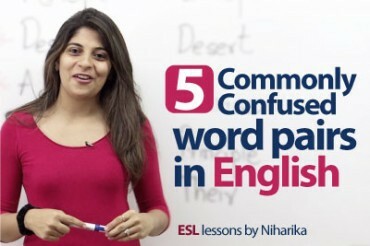 5 commonly confused word pairs in English.